BRYAN EATON/Staff photo. 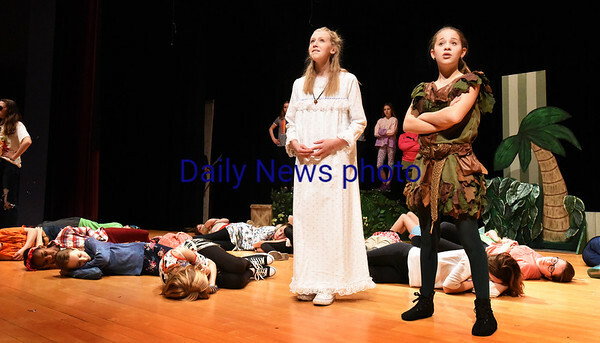 Amesbury Middle School is presenting the play "Peter Pan, the Jr. Version" Thursday March 8 at 6:00pm and Friday and Saturday, March 9 and 10 both at 7:00pm at the schoo's performance center, with tickets at the door, $3 for students and $5 for adults. In rehearsal Rosie Costello as "Wendy" left, and Allison Black at "Peter Pan" talk as the Lost Boys are sleeping in Neverland.